The TES-5 emulates HP's model 7970B and 7970E reel-to-reel, half inch tape drives. The TES-5 is plug-compatible with the original 7970B and 7970E reel-to-reel, half inch tape drives, while using ARRAID's proprietary solid state 'ARRAID Flash Drive' (AFD) to store data. Internal TES rotating drives (disk, tape & magneto-optic) can still be supported upon request. No host system software or controller changes are required to the original 7970B and 7970E reel-to-reel, half inch tape drives with the TES-5. Additional TES-5 options include disk to disk backup, disk to tape backup, AFD network (backup & restore) and mirroring. No refurbished replacement can match the reliability, features and customer support provided by choosing the TES-5 to replace your aging and refurbished tape drives. Additional TES-5 options include AFD network (backup & restore) offering Ethernet based tape data access, and replacement of tape reels with solid state ARRAID Flash Drive (AFD) configured as a magneto optical or legacy PCMCIA flash card media. 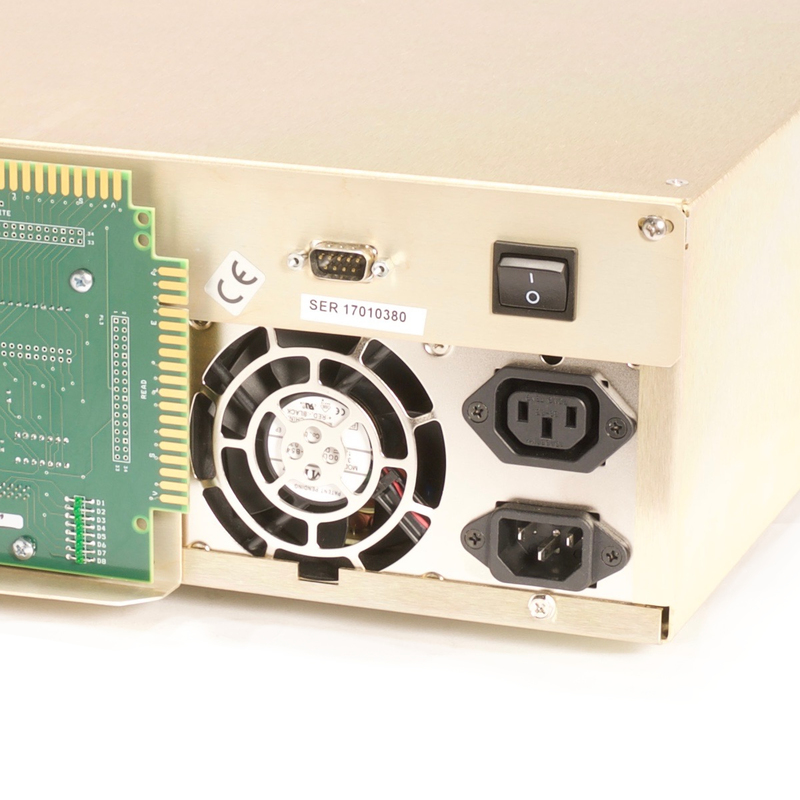 No refurbished Pertec interface tape drive can match the reliability, features and customer support provided by choosing the TES-5 to replace your aging 7970B and 7970E reel-to-reel, half inch tape drives. 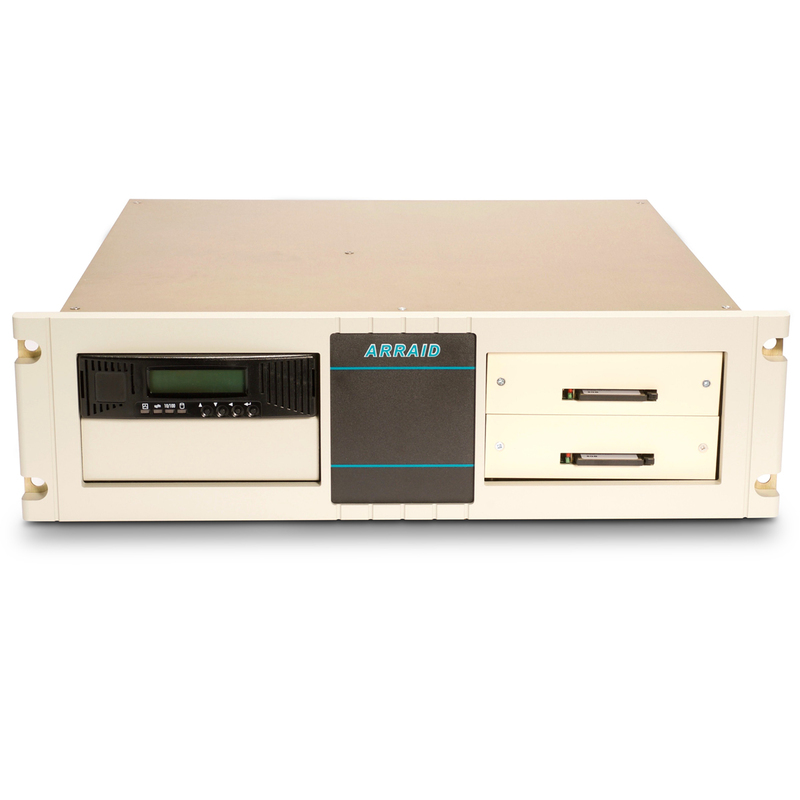 The TES-5 is provided as new equipment, allowing customers to utilize SCSI drives or ARRAID's proprietary solid state 'ARRAID Flash Drive' (AFD) installed in the TES-5, with MTBF of 200,000+ hours and significantly more when using the solid state AFD. 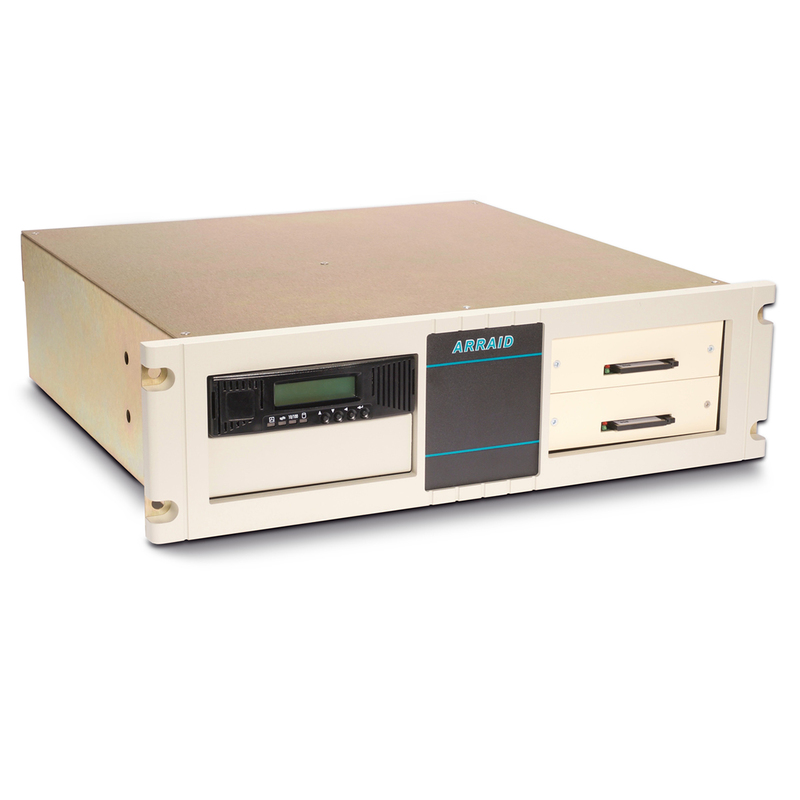 Contact Arraid today to learn more about new tape drive replacements for aging computer systems. Tape speed is typically 45ips, Start/Stop only. Recording densities from 800bpi NRZ mode to 1600fpi PE. The TES-5 can replace an existing drive or may be added to the existing tape drive chain. Additional features such as network backup, mirroring, restore and removable media can be added. The CompactFlash (CF) media in the ARRAID Flash Drive (AFD) is treated exactly the same as the floppy disk media. All drive data is stored on the CF media as if were the original diskette media. AFD network feature option offers LAN network (ethernet-based) back-up and restore capability directly from the AFD using the on board RJ45 Network port. No additional software or register changes are required to the legacy host. Including ARRAIDs FLASH2GUI Software, an optional ethernet support feature for centralised backup and restore capability lessening the reliance to rotate media. Network option only available on TES with AFD network drive installed. Easy to install. No hardware or software changes required, other than the drive itself. Can replace or be added to existing drives. Operating system, application and diagnostic software are supported as is. An LCD Operator Panel provides full control over tape drive online/offline functions. High reliability with near zero maintenance required. Greater computer system availability with lower cost of ownership. Greatly reduced power requirements compared to the original 9 track tape drive. With tape head alignment no longer an issue, media may be moved from drive to drive without concern for readability. CF media is archive quality, impervious to EMI, yielding both reliable media distribution and extended shelf life..
Increases storage - stores the content of multiple 1/2-inch tape reels on a single piece of CompactFlash (CF) media. This allows for unattended operation (no tape reel changes) in many applications. The space required for media storage is greatly reduced. Learn how the TES-5 replaces Pertec interface reel to reel tape drives using Tape Drive Emulation. There is only one standard version of the TES-5 with no model modifier. It is anticipated that minor changes required to emulate specific drives or interface with specific controllers will be accommodated by the standard product. The legacy tape image is stored on the solid state ARRAID Flash Drive (AFD). 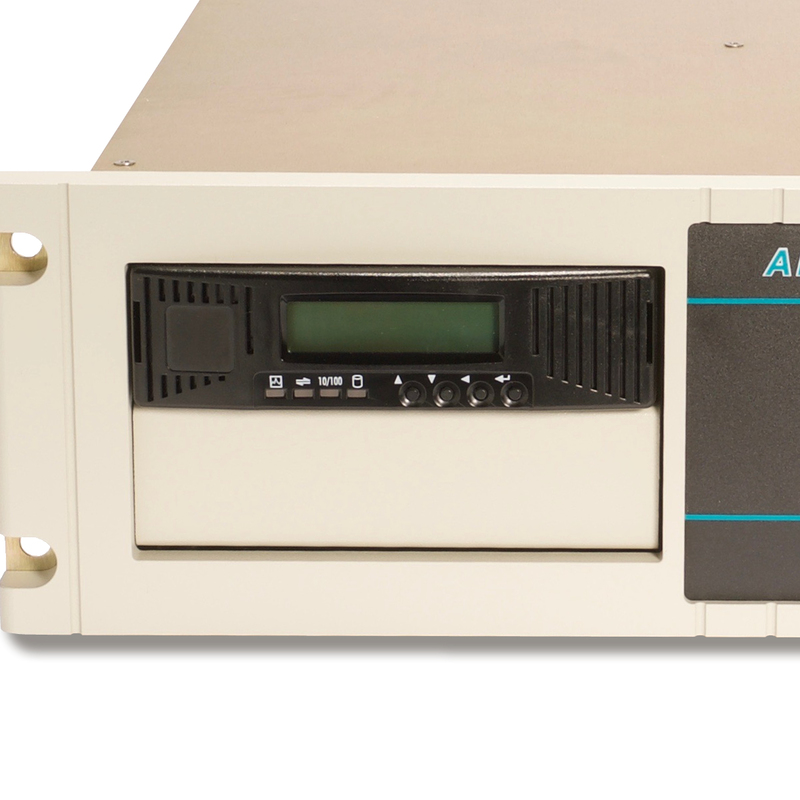 The (AFD) can be configured as a Disk, Tape or Magneto-Optical drive and has proven successful as the primary storage device in many applications, especially when used in a fully cached TES-4A. Excellent as internal copy/backup devices, these drives and industrial grade CompactFlash (CF) media have the durability to perform well for many years. 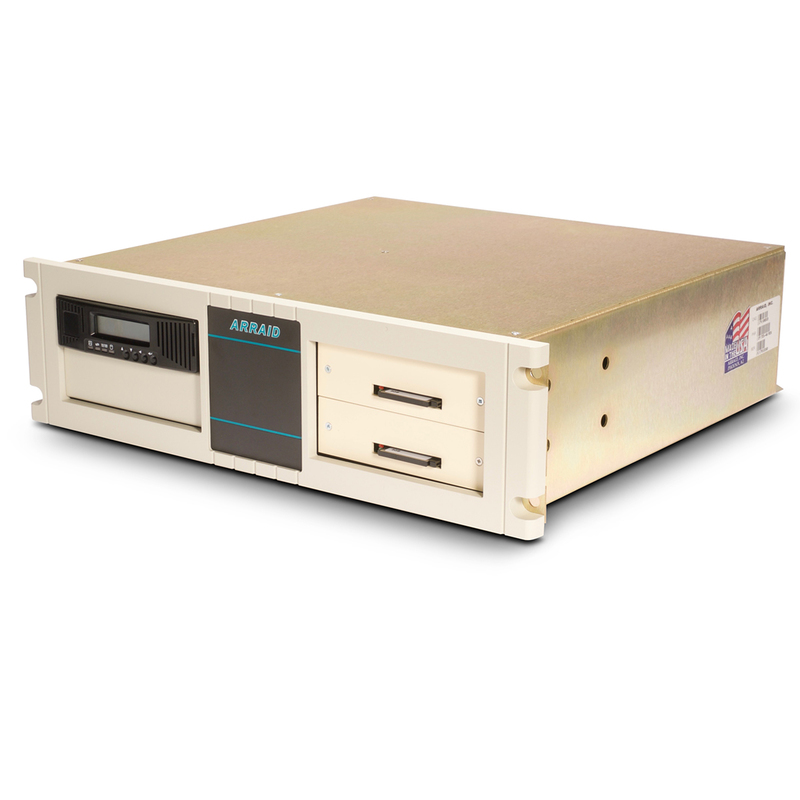 For RMC enclosures, the solid state ARRAID Flash Drive (AFD) configured as a magneto optical drive is fixed mounted in the front panel of the TES. Magneto Optical drives have proven to be an excellent choice for use in Arraid tape emulators. These drives and media have the durability to perform well for many years. RMR enclosures include drive bays for removable disk drive modules. Contact Arraid Representative for advice and assistance in selecting TES Options.